Prime Minister Narendra Modi on Thursday hailed Finance Minister Arun Jaitley for presenting an ‘all-friendly’ Union Budget 2018-19 with the focus on agriculture, health and small businesses. “This budget is farmer-friendly, common citizen-friendly, business environment-friendly and development-friendly,” Modi said in his first reaction after Jaitley presented the Budget in the Lok Sabha in New Delhi. However, not everyone echoed the same sentiment, especially the Telugu states of Telangana and Andhra Pradesh. 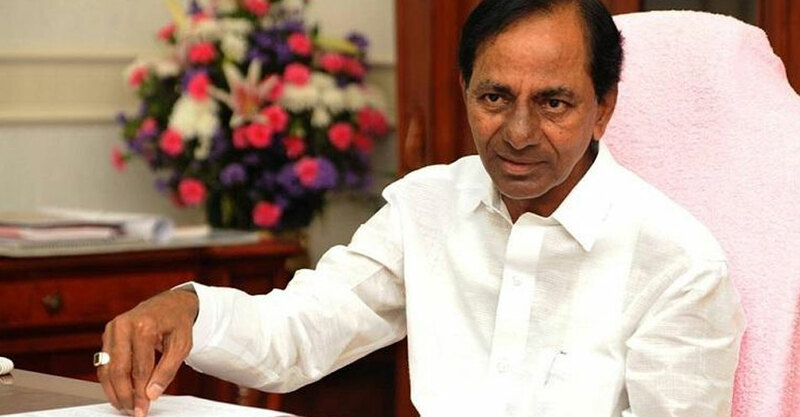 Telangana had been hoping for several allocations from the Centre, but was left disappointed, as the state was barely mentioned in the Finance Minister’s speech. Addressing reporters ahead of the budget, state Finance Minister Eatala Rajender said that Telangana would continue its momentum in 2018-19. He also pointed out that the state’s Gross State Domestic Product (GSDP) growth was only on the rise each year, because of its decisions to implement mega infrastructure projects. “While the GDP for 2016-17 was 7.1%, Telangana recorded GSDP of 10.2%. Now that the Centre estimates a GDP growth rate of 6.5-6.75% for 2017-18, our GSDP is projected at 10.5% for the corresponding period,” he said. Rajender said that Telangana recorded a growth of 21.5% in the 2016-17 financial year, adding that the state witnessed a 17% growth in State Owned Tax Revenue, even after the introduction of the GST. In March last year, The Telangana government presented a tax-free, revenue-surplus budget for 2017-18, proposing an expenditure of Rs 1,49,646 crore – an increase of 14.75% over the previous year. Besides funds for the Kaleshwaram irrigation project, there was also a request to consider granting it a ‘national project’ status, something which neighbouring Andhra Pradesh already has, for its Polavaram irrigation project. There was also the long pending issue of an All India Institute of Medical Sciences (AIIMS) that is due to be set up in Telangana. Budgetary allocations were also demanded for the Bayyaram steel plant and the Horticulture and Tribal University, in accordance with the Andhra Pradesh Reorganisation Act, 2014. However, the Telangana government was left disappointed with the budget. While there were no specific allocations made to Telangana, the Centre said that Rs 440.51 crore was allocated for drinking water projects, to provide safe drinking water to arsenic and fluoride affected habitations in the next four years. Telangana was allocated Rs 75 crore for the IIT in Hyderabad and Rs 10 crore for a tribal university. While the setting up of one each new AIIMS in Jharkhand and Gujarat was announced, no such announcement was made for Telangana. However, the establishment of an International Training Centre for Operational Oceanography in Hyderabad by United Nations Educational, Scientific and Cultural Organization (UNESCO), was approved after the proposal received a cabinet nod last December.